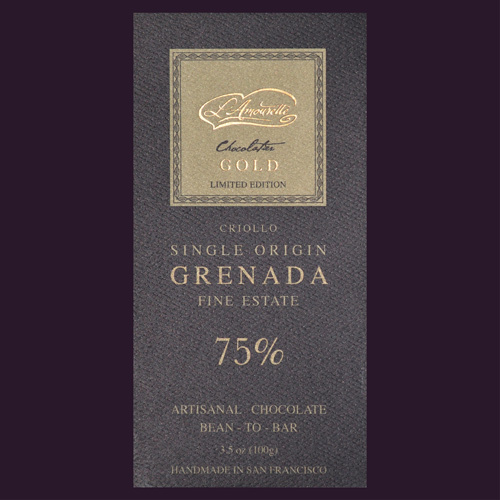 I have never been to Grenada, but I did fall in love with their delicious Criollo cocoa beans. After some magical procedures with the beans I made a remarkable sample of a chocolate that brought me to a decision to make a very limited quantity of bars. I hope that you will appreciate this cocoa and its delicate creamy taste of coffee and the smooth notes of a truffle’s ganache core. To continue producing this bar, I am solely depending upon you, my precious customer, and your reception to this first batch.